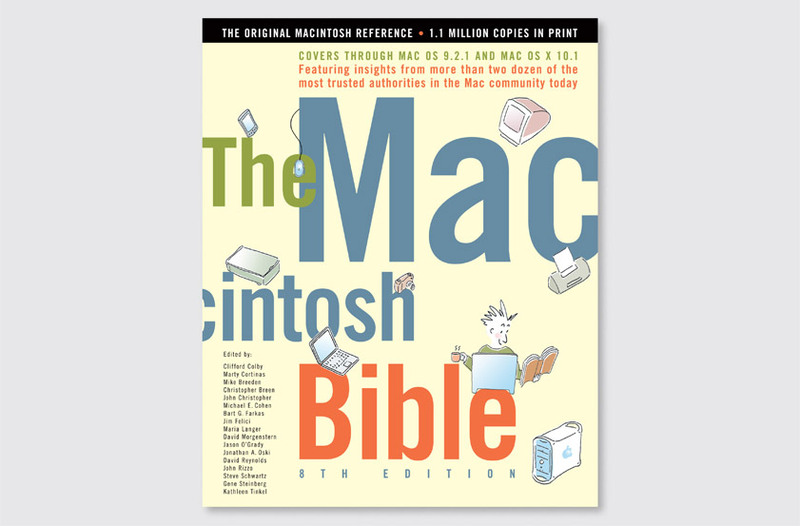 The Macintosh Bible, published by Peachpit Press, is the respected reference book containing hundreds of tips, tricks, shortcuts and trouble-shooting advice; everything a user needs to know about their system software and hardware. Our solution uses larger-than-life typographic scale to create poster-like impact for instant recognition on bookshelves. The lowercase font provides clarity, immediacy, and approachability. 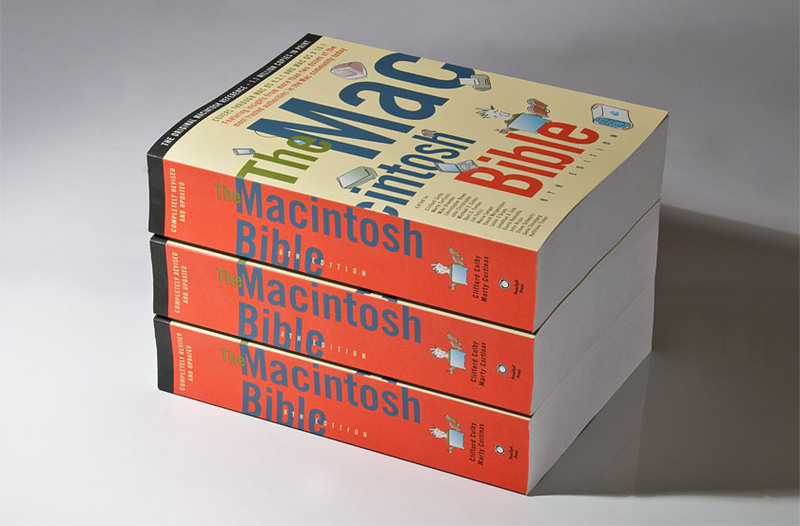 The book’s friendly, accessible tone is conveyed by the illustrations of computer peripherals integrated into the title’s letterforms, concluding with an “enlightened” reader.